Black Mirror is a TV drama about technology and its effects on people. I’ve discovered it only recently (thank you for recommending it, Marta!) and it’s hands down the best thing I’ve seen in a long while. It is a short series: at the moment only two 3-episode seasons have been released. Episodes are individual stories. They are not linked by characters or the setting; they aren’t even linked by time or a location: some of these stories could happen now, some of them in the near future. The thing that connects them is everyday technology. Technology that always works the way it is supposed to work. It never breaks. And yet things go wrong anyway. Why? Because people. And this is the reason why HCI researchers, UX designers and others who design technologies should watch this series. We all know that technology does not exist in a vacuum. Technology is nothing without users who give it meaning, adapt it, reinterpret it, or simply use it. 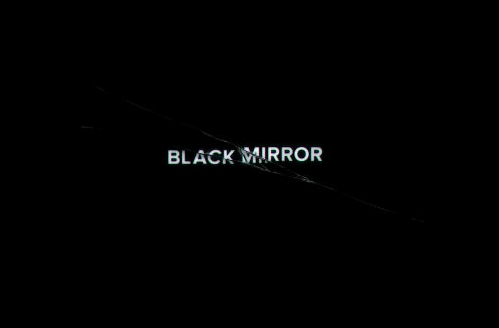 Black Mirror shows how technology can become an integral part of life, how it can change people’s lives… Or rather, how people can change their own and others’ lives when technology is available and makes that change possible. The series covers several topics: from social media to smart contact lenses and futuristic reality shows. Every episode has a main piece of technology on which it focuses (which characters simply use), but there is also technology in the background, seamlessly integrated into everyday world: super-slim mobile phones, gestures for controlling an email client or a curved drawing board. These extra technologies don’t play any important role in the plot, they are just everyday objects – like remote controls or kettles or laptops. People just use them. But at the same time these objects suggest how things might look like in the future. How they will almost definitely look like. But the most important thing are people who interact with each other, who have feelings and who are driven by emotions. These emotions, when combined with technology, are the reason why every single episode is unsettling, disturbing, sometimes even creepy. People are people and technology helps them to be even more human. And after a while you find yourself wondering if this is a good thing. In case you haven’t guessed that yet, I highly recommend Black Mirror. Stories are good and engaging, technology either already exists or is feasible, characters are believable and, to makes things even more exciting, they are from diverse backgrounds. Black Mirror is available on 4oD, so you have no excuse for not watching it.